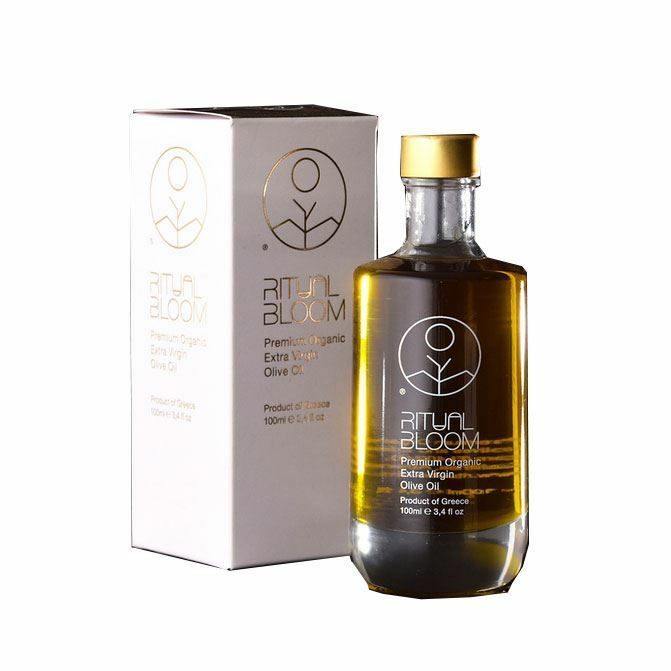 Ritual Bloom introduces its finest series of Premium Organic Olive Oil in the lovely Gift Box of 100ml bottle – a unique personal or corporate gift in a clear for in-flight carry-on luggage packaging. Superior category Early Harvest Premium Organic extra virgin olive oil, obtained directly from olives, solely by mechanical means. Cold extracted from Koroneiki and Athinolia varieties, harvested and bottled entirely by hand.